Large mirrors can bring a beautiful touch to any room, opening up small spaces, adding depth and dimension, and drawing in and reflecting the natural light of a room. Extra Large mirrors are a collection of simplistic, beautifully made full length mirrors made with this in mind. These extra large rectangular mirrors are highly versatile and can be used vertically or horizontally, allowing you to add a sense of depth to a room and bring in more light. Standing at just over 6 feet in height, they make a perfect addition to dressing rooms where one wishes to see themselves reflected back in full length, and crystal clear.The mirrors are suitable for a variety of uses in the home, commercial showrooms, and contract furnishing spaces. 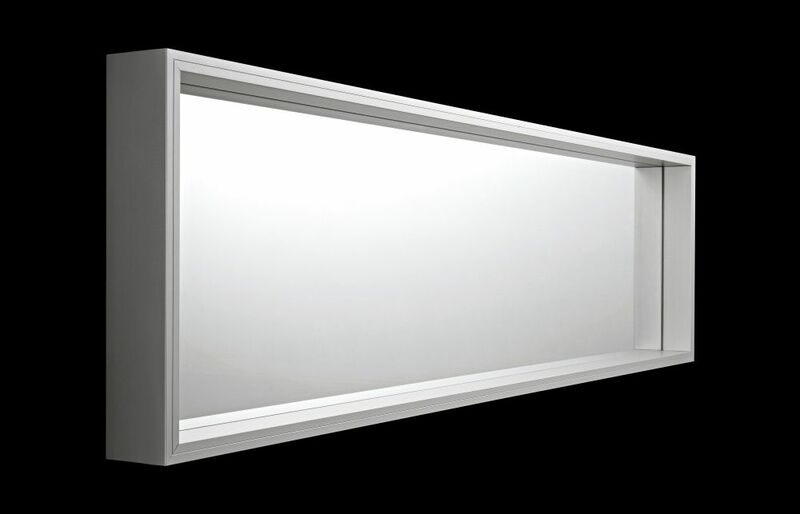 The elegant frame is a simple design made of anodised aluminium and houses a mirror which is recessed from the frame itself. This gives the illusion of added depth. The larger mirror in this collection comes in two options; wall mounted and free standing. The free standing version sits on 4 castors, two of which pivot, making it optimal for manoeuvring it around, and fitting it in a variety of spaces. Because of the simple, classic design, this mirror will fit any interior design. The frame comes in both anodised aluminium and white lacquered aluminium.These large rectangular mirrors have been crafted in such a way as to allow them to fit into any of Kristalia’s furniture ranges quite easily. The concepts behind Kristalia’s furniture were to create non-traditional, aesthetic, and equal in quality to the characteristics that follow contemporary Italian designs.